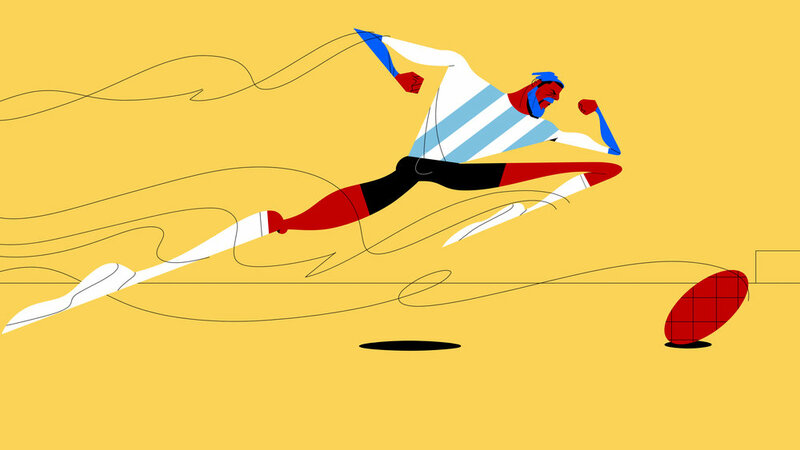 For the 2018 World Cup we at GS decided to mash our brains together and create something that would capture the energy and excitement of such a worldwide phenomenon. I wanted to make it about bringing distant people together, the same way the game brings out fans and a love for the sport. The idea was to start with a young futbol fan in Russia as she picked up her makeshift World Cup ball and evolved into an epic collage of design styles tied together pass by pass. From one scene to the next, you might not know what you’re going to get, but the dynamic kicks, clashes, and headers keep us zipping between pro-league players.